Mother’s Day is upon us and so I post a reminder to mothers everywhere to seize the moment and make your day enjoyable—for you. Yes, YOU take charge of the day. Sit back and enjoy … no laundry, cooking, chasing kids. Either go out to eat or, as I do, inform the spouse that you are not cooking and that he can plan what to do for dinner. Too many mothers wait for their families to do the tricks needed to make them happy, and too many mothers get disappointed. YOU know what you like, so do yourself and your family a favor and demystify the day by telling them what you want. Don’t be afraid of reminding them the day is coming and you’d love a card or a particular gift or meal. If other mothers in your family are in the picture, plan something you all can enjoy together or make Saturday or Monday your own private Mother’s Day. I learned from my stepmom long ago that I am in charge of my own happiness, and I deserve to be happy… at least one day a year! Another thought is that this is a learning experience for the rest of the family—that Mom deserves a break from her 24/7 job(s) and that she is not afraid to stand her ground and get that break. This is really important for our girls to learn. Many women of my generation and older were raised to be the servant of the family, which is totally unfair! I don’t want my daughters thinking that. And sons need to see that they can and should do their part to make their mothers’ lives easier… my, what great husbands they’d grow up to be! Thoughtfulness is something that can be taught, and what nicer way than by making yourself the beneficiary. Make yourself a very happy Mother’s Day. 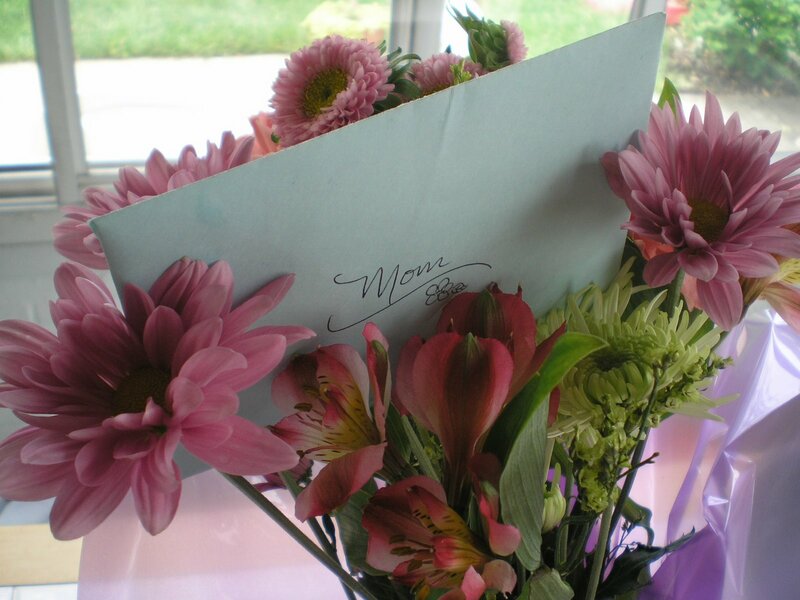 This entry was posted in holiday and tagged Mother's Day. Bookmark the permalink.